After the success of last year’s Cooma Music Competition it has been decided to book the St Paul’s Parish hall for the extra day, that is, Saturday the 1st September. However, we hope to conduct most of the heats on the Sunday (2nd September) in the afternoon. The evening Finals Concert will still be on the Sunday at 7 pm. We are mindful that many young musicians are involved in Saturday morning sports so we will be trying our best to accommodate all our contestants. All contestants in this year’s competition will receive a certificate. There will be a medal for first place in each of the solo heats and a trophy for the first place in each of the group and ensemble heats. 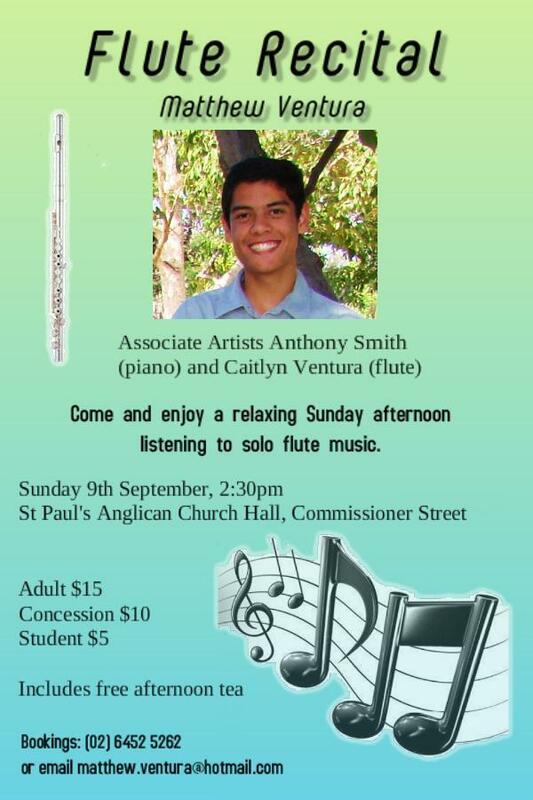 The winners of the heats will be invited back to perform in the Finals Concert on the Sunday evening. These performers will be competing for the following awards and prizes. This Award was our first and one and only award for the Cooma Music Competition in 2006. This award is a tribute to the late Frank Scott. Frank was a musical director of the Cooma District Band and also taught of the band instruments at Cooma School of Music for many years. This year it will be awarded to the most outstanding performance of a woodwind, brass or percussion instrument. There is an additional prize of $100 gift voucher from Cooma School of Music. This award is a tribute to Ron Cox who was the principal at Cooma North Primary School for many years. Ron had a great love of musical theatre. He loved singing and performing. This award for is for the most outstanding contemporary vocal performance. There is an additional prize of $50 cash. in Canberra and Peter Lehmann’s Winery in the Barossa Valley. 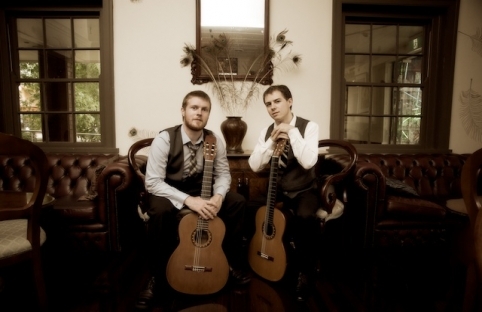 are also members of Australia’s premier guitar quartet Guitar Trek. Albury, Shepparton and Cooma (details overleaf). This entry was posted in Concerts & Events and tagged Bradley Kunda, Brew Guitar Duo, Matt Withers on August 21, 2012 by allan. The Berridale Spring Fair will be BIGGER and BETTER THAN EVER this year! We are currently seeking BUSKERS and STALL HOLDERS to participate in our Spring Fair. Please email us at BerridaleLions@hotmail.com for further information. We will be looking forward to hearing from you! sanitary sans-serif;”>Buskers diet sans-serif;”>and street performers! Our Berridale Lions Spring Fair is going to be MASSIVE this year! We are taking a new approach and it’s going to be awesome. We are after musicians and entertainers of all ages, shapes and sizes, who would like to come and busk at our Berridale Lions Spring Fair, Saturday of the October long weekend (Saturday 29th September, 2012). We are revamping our Spring Fair and it’s going to be HUGE! If you can sing, play guitar, mime, dance or swallow swords, we’d love to have you come and entertain. All the money you make will be yours, and there is no fee for attending. If you would like further information, please email berridalelions@hotmail.com and we will get back to you shortly. Or call Yvette on 0429 883 255. This entry was posted in Concerts & Events and tagged Buskers wanted on August 1, 2012 by allan.